Not only can we design and engineer the entire physical system, we also engineer the program software that makes the system run. Hydrotech Engineering uses the latest technology in our engineering processes. From the latest 3D CAD and system simulations, and rapid prototyping software, we have invested in our people and technology for accurate and streamlined engineering. All resulting in faster and more reliable solutions for our customers. Here at Hydrotech Engineered Systems our experienced assembly technicians think of themselves as artists who genuinely love what they do. They take great pride in hand making every single industrial power unit with attention to detail. Built to last and built to integrate seamlessly with all machinery and processes, Hydrotech Engineered Systems' industrial power units are true "Turn-Key" solutions. Upon manufacturing & assembly of your industrial power unit our installation team will commission your product on-site. Our goal is to ensure that proper installation is achieved and maximum quality control & value is continued. As an OEM you need more than a solutions provider; you need a Solutions Partner. We strive to collaboratively develop quality and effective solutions for our OEM’s. We offer the ultimate in technical expertise from solutions design to post sale product support. Combined with our broad product offering and delivery capabilities we can meet the demands of even the most demanding OEM’s. Here at Hydrotech our engineers are specialized, trained and tested in the field of manufacturing, ranging from hydraulics and industrial automation. As a result, understanding the planning that is involved in order to achieve our customers concepts and being able to manage and execute the steps that are needed is second nature to us. Our comprehensive support of many engineering disciplines is exhaustive. From Electrical, Mechanical, Manufacturing, Fluids, Product, Process, and Systems engineering you can be assured you can accomplish everything from one place. As products become more specialized and quality demands rise, there is becoming a greater need to test products before they are commissioned in the field. Hydrotech Engineering designs and builds test stands to the specific needs of our customers, from the types of tests, amounts of tests, and the speed in which those tests need to be accomplished. Not only are we a full-line Authorized industrial distributor, we also have the expertise to combine all our products and develop engineered systems. 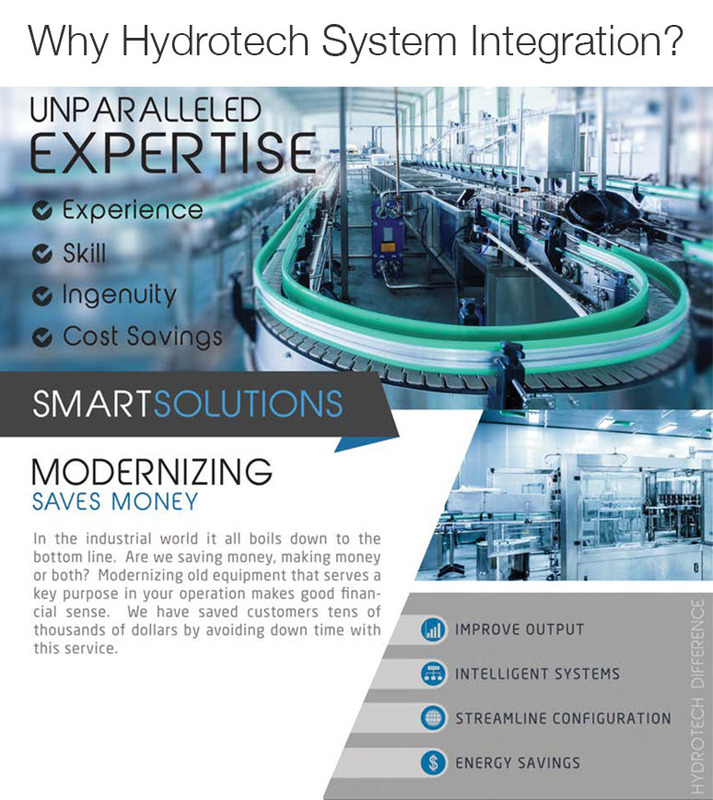 Hydrotech engineered systems are designed to increase both production efficiency and product quality, while reducing your costs through a streamlined, modern design. Whether a hydraulic, pneumatic, automation, lubrication, custom testing or process filtration system is required, we can design each solution using the most accurate and dependable components. 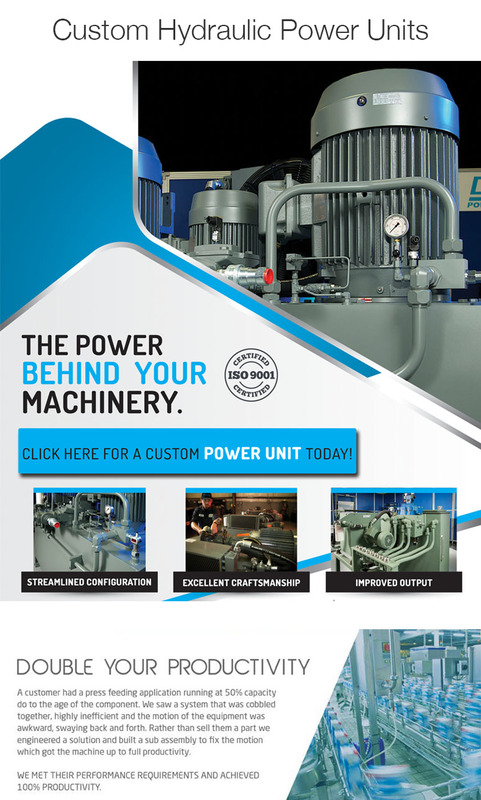 Hydrotech's Industrial System Division is dedicated to being the power behind your machinery. One of the keys to our success has been our focus on the customer. Our team members will keep every aspect of our business and our broad range of services aimed toward customer driven solutions that make the job easier and more cost effective for everyone. Whether it is a pump or motor group, custom control panel, hydraulic power unit, automation system integration, or a combination of all, we coordinate these groups to produce your system as quickly as possible without jeopardizing the quality of the unit. Since the beginning, Hydrotech has partnered with leading US manufacturers to optimize processes and improve output. Strategic partnerships have always been what differentiates us from big-box industrial distributors and the personalized value we want to offer. From global consumer packaged goods manufacturers to unique OEMs servicing specific markets, our philosophy is your success is our success. Our engineers want to learn everything they can about your application to assist in providing the best solution for your process. We firmly believe that if we can help our partners stay competitive, it will in-turn help them grow resulting in progress towards Hydrotech's Mission as a company: Strengthening the competitiveness of US Manufacturing. For demanding assembly applications and performance in the field, we carry a complete and exhaustive line of components that provide the necessary precision to meet our customers' needs. Hydrotech Engineering provides full services in assessment and design for applications, including 3D-CAD and system simulations. Our engineered solutions are designed to increase both production efficiency and product quality, while reducing production costs. We individually design each system and components for every budgetary need, specifying the right manufacturer's product for the exact job specifications. We offer complete integration. Our complete system integration capabilities will ensure that you are achieving maximum quality control and value. With an experienced engineering department, we are able to accomplish design needs internally, streamlining the engineering process.